Target in Waconia is now advertising in the store that they will be getting fresh foods such as fruits and vegetables. I don’t think the store is expanding the building but they are expanding the grocery section. October 12th was opening day for Target in Waconia and, as exciting as that was, the treat of seeing a Starbucks and Pizza Hut Express inside was even better! I guess I hadn’t really thought to much about the mini stores that come with Target. Sure Target has groceries, a pharmacy, clinic, photo department and a little food court, but they usually come with a few big named brands too built in. To me, I can’t see this harming local business to much. Pizza Hut doesn’t offer delivery or make pizzas that feed a family. It’s all individual sized pizzas and even a few breakfast items. Starbucks doesn’t have a drive through and probably doesn’t even open until 8am. However, it does offer that overpriced coffee for those that crave it. The name brands are coming. Kwik Trip is up and running and I’ve been there several times. Not only are the gas pumps fast, but the store has lots of goodies inside and the car wash even made a point to wash my rims. Target should have a groundbreaking yet this fall. The 145,000 square foot store should open in October of 2008. AmericInn is almost done too. It could be complete this October but not sure when the opening date may be. And Walgreens may be coming to town. The city is going to review plans for a store at the intersection of 284 and 5. Personally I don’t think that’s a good location with the intersection being so busy, but something going to pop-up eventually. Have you heard any news or rumors you’d like to share? It’s still a ways away, but SuperTarget is officially coming. The 177,000 square foot retail and grocery store will open up on the east side of town around July of 2008. Not only will it bring a major ‘big box’ store to town, but it’ll also come with other, un-named, stores. Most SuperTarget do have sister stores attached to the side so this isn’t much of a surprise however it will alter that small town appeal. It’s bitter sweet and I don’t know how long my wife and I will stay after SuperTarget arrives. What are your thoughts on SuperTarget coming to town? Earlier this year there were talks of a Target on the east side of town, however those plans were pulled as Target had bigger plans. SuperTarget is now setting it’s sights on Waconia and it could become a reality. The 177,000 square foot store would be located on the south side off highway 5 on the east side of town. 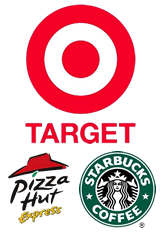 Target hasn’t officially announced it’s plans, but the idea has gone to the planning commission for approval. No start date or completion date is known, but it does look like SuperTarget wants to make Waconia home.